Superdry women's Sirena trench coat. 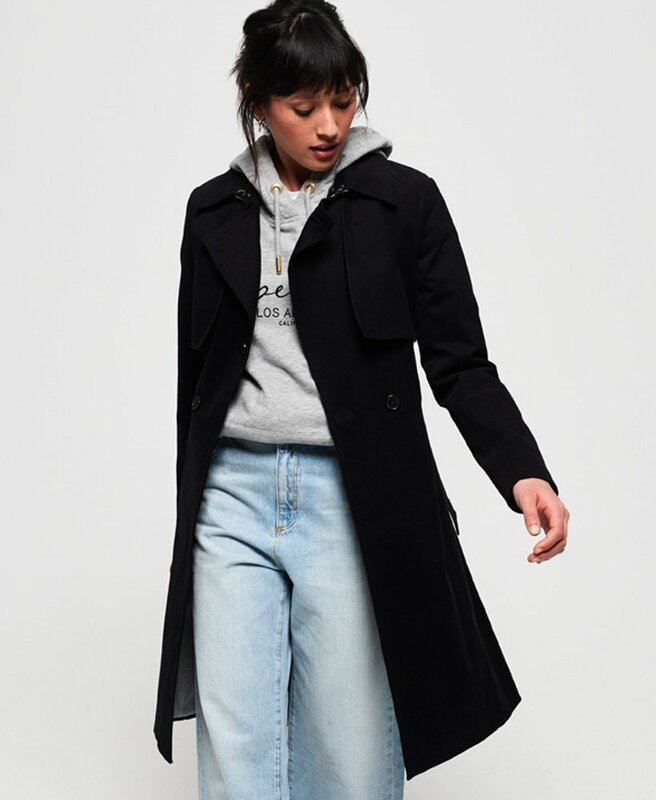 This traditional styled trench coat features a double breasted button fastening, two front pockets and a removable belt. Finished with a metal Superdry logo badge on one sleeve, this coat is an easy piece for an instantly impactful look.